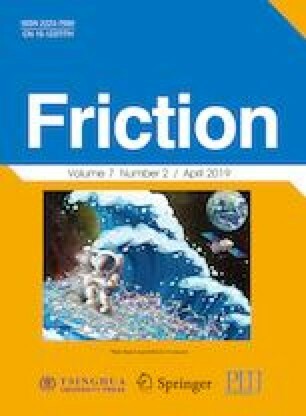 A structured transdisciplinary method for the experimental determination of friction in the nanometric domain is proposed in this paper. The dependence of nanoscale friction on multiple process parameters on these scales, which comprise normal forces, sliding velocities, and temperature, was studied via the lateral force microscopy approach. The procedure used to characterize the stiffness of the probes used, and especially the influence of adhesion on the obtained results, is thoroughly described. The analyzed thin films were obtained by using either atomic layer or pulsed laser deposition. The developed methodology, based on elaborated design of experiments algorithms, was successfully implemented to concurrently characterize the dependence of nanoscale friction in the multidimensional space defined by the considered process parameters. This enables the establishment of a novel methodology that extends the current state-of-the-art of nanotribological studies, as it allows not only the gathering of experimental data, but also the ability to do so systematically and concurrently for several influencing variables at once. This, in turn, creates the basis for determining generalizing correlations of the value of nanoscale friction in any multidimensional experimental space. These developments create the preconditions to eventually extend the available macro- and mesoscale friction models to a true multiscale model that will considerably improve the design, modelling and production of MEMS devices, as well as all precision positioning systems aimed at micro- and nanometric accuracy and precision. Marko PERČIĆ. He received his master degree in mechanical engineering in 2012 from the Faculty of Engineering of the University of Rijeka, Croatia. He is presently a D. Sc. student at the same University working on nanoscale characterization of materials. He is staff member of the Centre for Micro- and Nanosciences and Technologies of the University of Rijeka. His research interests include experimental nanotribology, atomic force microscopy, thin films, mathematical modelling and data mining. Saša ZELENIKA. He graduated at the University of Rijeka, Croatia and attained the D. Sc. degree at the Polytechnic University of Turin, Italy. He was Head of Mechanical Engineering at the Paul Scherrer Institute in Switzerland. From 2004 he is faculty member of the University of Rijeka, Faculty of Engineering (since 2015 full professor with tenure) where he was dean’s assistant, department head and is laboratory head. In 2012–2014 he was Assistant and then Deputy Minister at the Croatian Ministry of Science, Education and Sports. Currently he is Rector’s Assistant and Head of the Centre for Micro- and Nanoscience and Technologies at the University of Rijeka. His research interests encompass precision engineering and microsystems technologies. Igor MEZIĆ. He graduated at the University of Rijeka, Croatia and got the Ph.D. degree from Caltech. He was postdoctoral fellow at the University of Warwick, UK, joined the University of California (UC), Santa Barbara and moved to Harvard University before returning to UC Santa Barbara, where he became a full professor in 2003. He holds numerous awards and honors in the fields of physics, mathematics (Sloan Fellowship) and engineering. He is Fellow of the American Physical Society and of the Society for Industrial and Applied Mathematics. He holds 4 US patents, and 3 technological companies (Ecorithm, iFluidics and AIMdyn) were founded on the basis of his patents and algorithms. He is currently professor at the Department of Mechanical Engineering at UC Santa Barbara and chief scientist at Packetsled, Inc. His research interests are in developments in operator theory, machine learning and artificial intelligence. Robert PETER. He received his master degree at the University of Rijeka, Croatia and the D. Sc. degree at the University of Zagreb, Croatia. From 2016 he is employed as assistant professor at the Department of Physics and the Centre for Micro- and Nanosciences and Technologies at the University of Rijeka. His research interests include physics of semiconductor surfaces and the development and characterization of metal oxide nanostructures. Nikša KRSTULOVIĆ. He received his Ph.D. degree in physics at the University of Zagreb, Croatia. He is employed at the Institute of Physics, Zagreb, Croatia where he is leader of the Plasma Unit Group of the Centre of Advanced Laser Techniques (CALT). He spent two years on a postdoc position at the University College Dublin under a Marie Curie fellowship working on EUV light sources. His research interests include laser produced and non- equilibrium plasmas, atmospheric plasmas, plasma diagnostics, high-harmonic generation, extreme light sources, synthesis and applications of nanoparticles by laser ablation in liquids and PLD of thin films. The work described in this paper is enabled by using the equipment funded via the ERDF project RC.2.2.06-0001 “Research Infrastructure for Campus-based Laboratories at the University of Rijeka — RISK”, as well as via the support of the University of Rijeka grants uniri-tehnic-18-32 “Advanced mechatronics devices for smart technological solutions” and 4581 “Measuring, modelling and compensating friction in high-precision devices: From macro- to nanometric scale”. The work was partially supported also by the Croatian Science Foundation project IP-11-2013-2753 “Laser Cold Plasma Interaction and Diagnostics”. The GoSumD software is provided by AIMdyn, Inc.
University of Rijeka, Croatia. Centre for micro- and nanosciences and technologies. https://doi.org/nanori.uniri.hr/, 2018. AIMdyn System Analytics, Engineering Consulting and Software Development. GoSUMD software. https://doi.org/aimdyn.com/gosumd, 2018. Bruker. Stylus Profilometers Dektak XT. https://doi.org/www.bruker.com/products/surface-and-dimensional-analysis/stylus-profilometers/dektak-xt/overview.html, 2018. Bruker. AFM probes SNL-10. https://doi.org/www.brukerafmprobes.com/p-3693-snl-10.aspx, 2018. MIKROMASCH. Test structures — TGF11 series. https://doi.org/www.spmtips.com/test-structures-TGF11-series.html, 2018. University of Trieste, Italy. Laboratorio MOSE. https://doi.org/www.mose.units.it/default.aspx, 2018. Bruker. AFM Probes — RS titanium roughness sample. https://doi.org/www.brukerafmprobes.com/a-3552-rs.aspx, 2018.